One of our favorite hotties is celebrating his 46th bday today. We have watched him grow up from a ripped, shirtless “rapper” to a beefy, shirtless Daddy and we’ve enjoyed every minute. In 1991 he went solo (and shirtless) with Marky Mark and the Funky Bunch, since then it’s been hard to find a movie where Mark keeps his shirt on! See for yourself with this very special Body of Work. ian ziering lost masturbation tape? 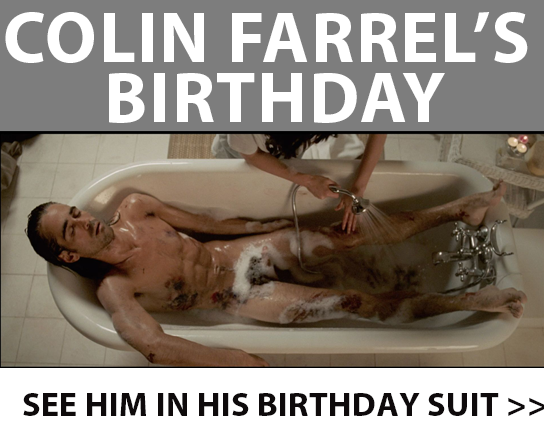 With his bad boy persona, gorgeous face, thick head of hair, amazingly toned body, and of course epically long dong, Colin Farrell is the perfect actor to feature here on Body of Work. Watch him put that body to werk with his impressive six dudity-filled appearances, right here!